Try the ultimate ski trip with a boat-based trip and travel to the best powder aboard a boat, making the perfect “sea to ski“ holiday. Boat trips are available with onboard accommodation or landside accommodation near the sea with transport by boat. Whatever your style, a boat trip will be an incredible adventure that you’ll never forget! Is there anything better than a skiing or snowboarding holiday to a picture-perfect land where the snow is deep and soft, the lodges are cozy, and the service is perfection? How about experiencing all that next to the sea, where the water is your lift to the slopes and the blue seas frame your snowy vista? A boat-based ski trip is definitely one of the most exotic ways to experience a skiing or snowboarding holiday, and its also one of the best. By choosing a boat-based ski trip you’re able to enjoy the beauty of the deep blues while spending your days on the hill shredding powder. 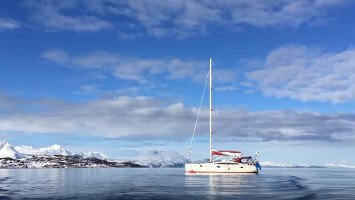 Some of our boat-based trips offer lodging on board the boat to ensure you have the ultimate sea and ski experience, quickly getting to the fresh snow each morning and letting the waves gently rock you to sleep at night. Other trips include lodging landside close to the sea, offering beautiful views and many of the luxuries of a seaside village like fishing and touring. Landside lodging is also perfect for those who want to combine their ski holiday with a boating trip, while still having the freedom to check out the town or those who prefer in some cases more spacious or luxurious accommodations. Whether you choose a “cruise to the slopes“ with lodging and transport on board, or landside accommodations with boat transport to your skiing or riding terrain, the combination of sea and mountains is still an alluring all-time classic. Boat trips are perfect for nearly every type of skier and traveler because there are so many options, you’re sure to find something that is perfect for you. From a rustic, small wooden sailing boat, to a huge luxurious cruiseline, there’s a boat trip for almost every budget and traveler type. Boat trips travel to ski destinations that are suited to both skiers and snowboarders, depending on the destination. 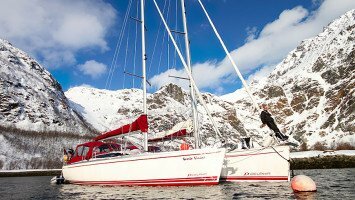 Advanced skiers or snowboarders aren’t the only ones who will love boat trips because there are a variety of destinatons that meet the needs of some lower levels skiers and snowboarders, too. LUEX can also help you find the boat trip with the exactly the amenities you’re looking for. Do you want just the bare essentials, or do you prefer a more luxurious experience from your ski holiday accommodation? Some of our boat trips feature a heli pad onboard, next to the jacuzzi, on the top floor, of your luxury cruise. That’s a ski trip you won’t soon forget! For those who are more interested in pure adventure, we have smaller boats with less amenities but just as much fun, for an authentic boating experience. 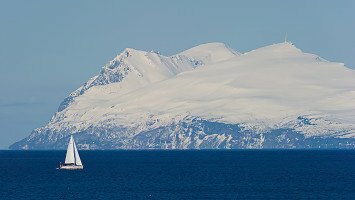 Boat trips are offered around the world; pretty much anywhere that sea and snow meet to form the perfect conditions for skiing and snowboarding enthusiasts. Some of the most popular destinations for boat trips include Norway, Argentina, Alaska, and Greenland. 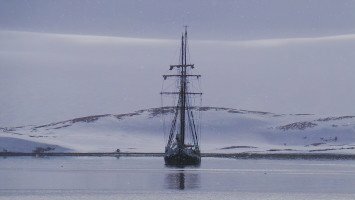 While all of these countries offer their own unique and beautiful landscapes, culture, and special qualities to your ski trip, Norway is one of the best boat trip skiing destinations in the world, for good reason. 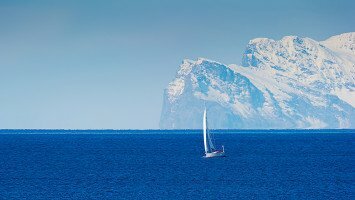 With its beautiful fjords, like fingers of water reaching through the steep snowy slopes, Norway is the perfect spot to travel by boat, accessing amazing snow at lightning speed. In Norway you’ll also find welcoming hospitality, delicious food, and a variety of accommodations for every type of traveler. When it comes to picking the perfect ski holiday, there are a lot of factors to consider, but when you’re choosing the perfect boat trip for your ski holiday, there’s even more, so trust in LUEX to help you make this decision smoothly and with confidence. Keep in mind that there are a variety of accommodation types and destinations, so when making your decision consider what will work best for you and your group. 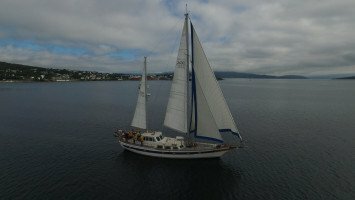 LUEX can also help you to find a boat trip that suits your budget. Boat trips come in all shapes and sizes, and price ranges too. If you’re on a budget, we might not be able to get you on that cruise with the heli pad by your jacuzzi, but LUEX can still help get you to the slopes, on your boat-based ski holiday. 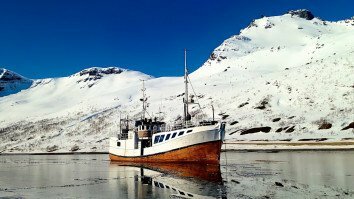 With the waves beneath your feet one minute and the snow the next, a boat trip is an experience like none other, and it’s guaranteed to be the trip of a lifetime! LUEX up your life! Let us help you book your boat trip today!